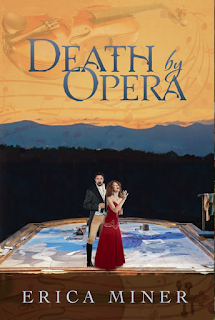 Edmonds author Erica Miner will read from her new release, Death by Opera, at Third Place Books in Lake Forest Park Town Center on Saturday, June 2 at 6 pm. The event is free. 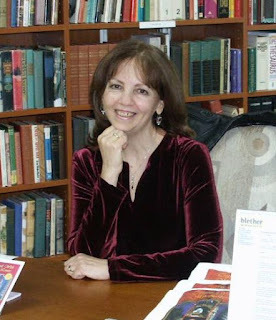 Death by Opera is the second book in her Opera Murder Trilogy series, published by Twilight Times Books . Murder in the Pit, the first in the series, has won rave reviews in the US and overseas. Rivalries, jealousies and back-stabbing were a natural result of the intense, high-pressure situation in which the Pavarottis and Domingos jockey for space and attention with less famous singers, stage directors, chorus, orchestra musicians, stagehands, costume people and more. I wanted to portray that milieu from the perspective of a young, ingenuous violinist who, like myself in my early Met years, struggles to survive in that madhouse we call The Opera. The difference is, she also has to deal with murder. In this sequel to Murder in the Pit, young violinist Julia Kogan, having survived her entanglement in a murder plot at the Metropolitan Opera, finds further operatic turmoil at the Santa Fe Opera. Julia and her cohort, NYPD detective Larry Somers, head to the Santa Fe Opera House, where numerous musicians from the Met Opera perform each summer. Against the backdrop of the mystical New Mexico mountains, chaos ensues, as murderous activities plague the performers on stage and off. Faced with a murderer on the loose who threatens the sanctity of the prestigious company, Julia and Larry join forces to stop the menace from wreaking further havoc. Third Place Books is located on the upper level of Town Center, Lake Forest Park at the intersection of Ballinger Way and Bothell Way.